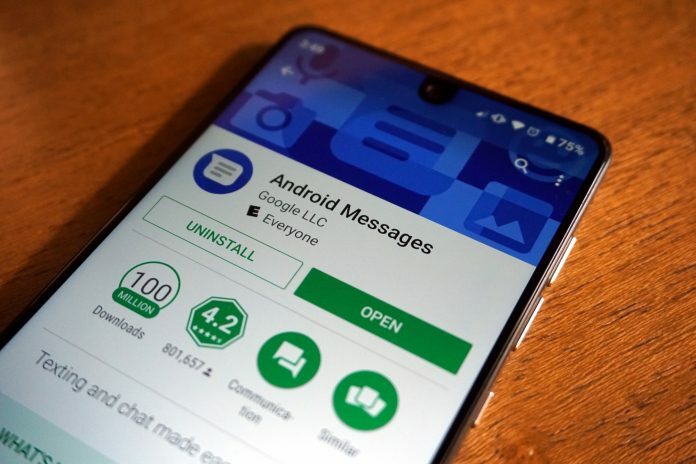 What are the best SMS alternatives for Android Messages? Pulse SMS is one of our favorite apps by the great dev team at Klinker Apps. They’ve been at it for quite some time and you may remember the first attempt at SMS with EvolveSMS. Pulse updates that effort with a Material-inspired UI and some slick features. There are many offerings with Pulse and we’ll try to hit the high points. You’ll password protected, private conversations for those super secret texts. The app also has full GIF support, inline web previews, custom color schemes, and even delayed sending of messages. And those are just the free options available to anyone with Pulse. If you want to take it a step further, you can opt into a few paid options to add things like automatic backups and desktop sync. The desktop sync offers a great way, and head to head competitor to Android Messages, to text while on a standard PC or tablet. The paid tiers are $0.99 per month, $1.99 per quarter, or $5.99 per year. If you can spare $10.99 you can just get a lifetime subscription and get it over with. Check out Pulse free on the Google Play Store. Textra is an old favorite. I feel like the SMS app has been around forever now and it’s still a solid offering to handle your texts. Textra big push is customizations. You can tweak the interface and settings to really be a text app specifically configured for you. Notable mentions of these custom options are over 180 theme combinations, GIFs, and 21 different text sizes. Almost every detail can be altered to your taste. Want a specific bubble color for each contact? Check. Want that same contact to have their own notification sound or vibrate? That’s there as well. While Textra doesn’t have a desktop solution, it has made sure it’s compatible with services that cover this space like Pushbullet and MightyText. This is a nice touch to make sure the bigger screens are covered for texting without the need of your phone even though Textra doesn’t offer it in-house. Textra is free via the Play Store with ads or a one-time in-app $2.99 purchase to remove them. 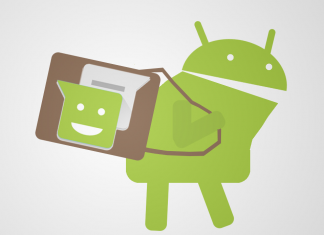 Handcent might be one of the first apps that can claim to be an alternative to the defaults on Android. The app launched way back in 2010 and has literally been adding features ever since. As you’d expect, it’s a lot of additions. Its chocked full of customizations much like the other on this list. Chat bubble colors, LED color, vibration pattern, and ringtones can all be changed via the settings of Handcent. It also has group chats and an encrypted private mode outside of normal texts. Wrap all this in a Material design and you have a solid SMS option. Handcent takes that same framework to your other devices as well via Handcent Anywhere. This allows you to continue your conversations via PC, Mac, or tablets. This is handled through a web app aw.handcent.com via your favorite browser. Handcent can be had for free via the Google Play Store with pro options being added by in-app purchases. Ever wonder who’s really “listening” and want to add some privacy to all your text messages? Well, Signal offers just that. 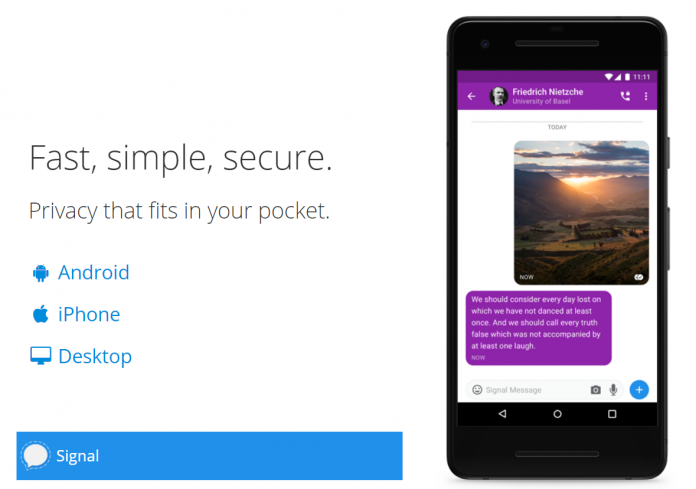 The SMS newcomer is security focused on end-to-end encryption. 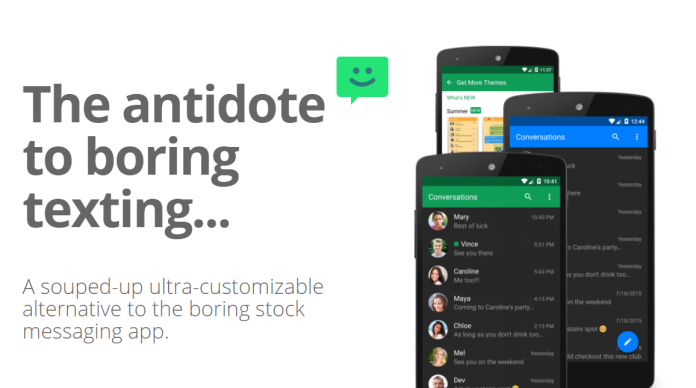 This can include your SMS as well as newer chatting over IP like Whatsapp and Hangouts. The app also allows for groups chats and uses your existing number at login instead of PIN sign-in. Phones calls are present as well when you need them. What about the desktop? While tablets are not currently supported, Signal does offer web-based and native desktop solutions for pretty much any operating system. PC, Mac, Chrome OS, and Linux are all available. Signal is free via the Google Play Store. Facebook is not one we always think of for texting. The company’s Messenger app has a pretty loyal following for IP-based chats, but it can also do standard SMS. Facebook added this optional feature a few years back and many find it the all-in-one solution for all their messaging needs wrapped in a single app. While the company doesn’t offer SMS for desktop, you can use the webchat options as well as the other bells and whistles from internet messaging. You get video calls, emojis/stickers, group chats, and even mobile-to-mobile payments. Facebook Messenger is free via the Play Store. 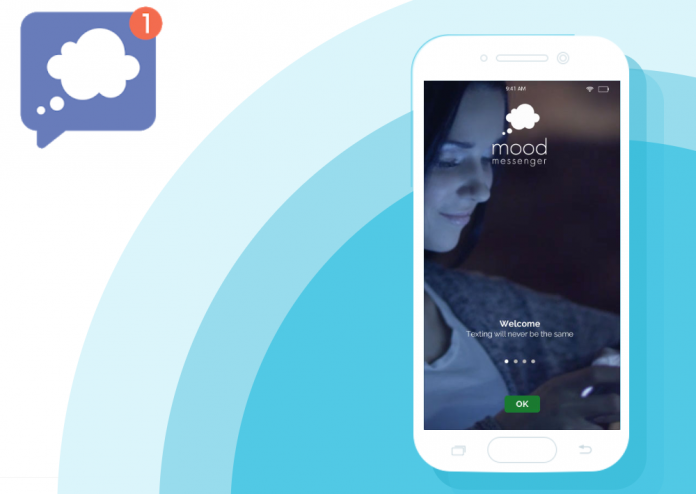 Mood Messenger is another great looking SMS app to add to this list. The design of the app seems clean, but the real draw is customization. Much like the others, Mood Messenger wants to allow the user a multitude of options to tweak the interface. With these options, you’ll find chat bubbles, individual ringtones and lights, custom fonts, and over 100 themes. Another nice addition is type indicators that let you know when your contacts are working on a response. Mood also allows for private messaging with full encrypt and the ability to hide the entire chat behind a password key. Mood Messenger is free to download from Google Play Store. Lastly, we have Chomp SMS. If you can’t tell, there’s a trend with all these apps…user freedom. Chomp prides itself on not being boring and letting you change almost everything about their experience while sending messages. While it includes all the “standard” stuff of most alternatives, it does offer a few that stand out. You can schedule texts to contacts and Chomp can even pull information from your calendar to wish someone a happy birthday. Another nice addition is being able to pin contacts to the top of your conversation list. It also doesn’t have a desktop solution, but does play nice with 3rd party apps like Pushbullet to fill this gap. Chomp is available from the Play Store.